Bright pink rooh afza macarons ready to eat! A few weeks ago Michelle from The Tiffin Box and I decided to play around with some different flavours and make some Indian inspired macarons. The first macaron flavour to experiment with was Rooh Afza (also spelled as Roohafza). This is what the bottle of Rooh Afza (Roohafza) looks like. You can likely find Rooh Afza at an Indian grocery store. Rooh Afza is a non-alcoholic syrup made with fruits, herbs, flowers, roots and vegetable extracts. 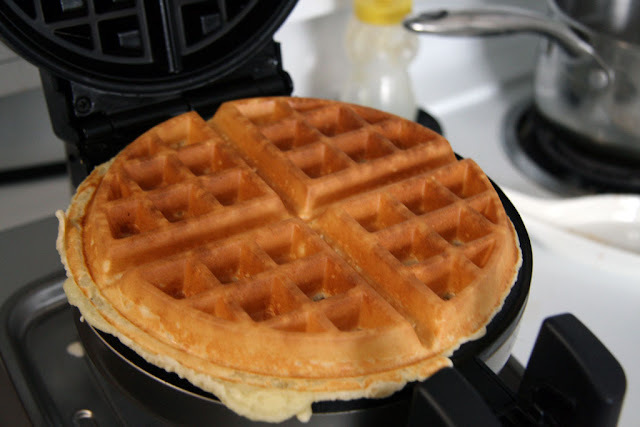 It's most prominent flavour is the rose flower, followed by the taste of everything else that is in the syrup. A few tablespoons of Rooh Afza mixed with water is a refreshing Indian drink. The way the rooh afza syrup is used is similar to that of Ribena - a concentrate blackcurrent drink. We incorporated the Rooh Afza flavouring into the buttercream. After these Rooh Afza macarons rested in the fridge for two days, they tasted just like you were having a sip of Rooh Afza on a hot summery day. One thing to note, 3 tbsp of Rooh Afza may have been a tad much, as after two days of resting the macarons were slightly on the sweet side (for my tastes anyways). It may be best to cut back on the Rooh Afza as the buttercream and shell already contribute to the sweetness content. Put in two drops of pink gel food colouring to match the bright pink Rooh Afza colour (Wilton Christmas Red). 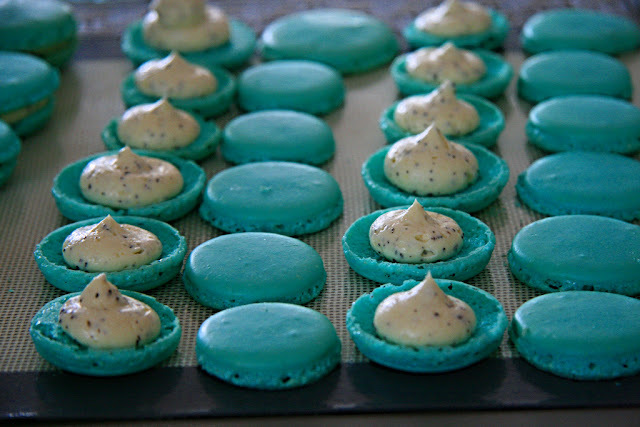 Don't be afraid to make the macarons a shade darker as the colour will lighten in the oven. Note: Everyone's oven is different! As mentioned in my previous macaron posts, I highly encourage you to experiment, bake test batches and take notes. Even creating a table in your notes to chart is helpful! Once the hot sugar mixture reaches 250F pour immediately into the whisking egg mixture. Turn down the whisking speed temporarily to help prevent hot sugar threads from flying everywhere. It is important to pour the hot sugar mixture in quickly and then increase to a higher whisking speed. Macaron shells all matched. Rooh Afza buttercream piped on top. Once you are done making your Rooh Afza macarons, resist the temptation to eat them! Macarons need to rest in the fridge in a covered container for 2 days before they can be eaten. This way they are at their optimal flavour and texture. As you bite into a macaron, there should be the ever so slight crunch followed by a chewy texture. The buttercream will have done its work and softened the shells over the two days they are in the fridge. Take the macarons out of the fridge two hours before eating. If you are making an entire batch of macarons for a special event or can't finish an entire batch by yourself freeze you macarons in a covered container. Prior to eating defrost in a covered container for 2-3 hours in room temperature. Thanks Andrea! :) These ones definitely turned out nice and bright pink, just like the Rooh Afza!! Love the picture, I could reach through my screen and snack on one of those beauties! @The Kitchen Magpie: Thanks! I definitely made sure to take all pointers from Michelle that day to get that effect! Glad that the photography lesson is working! :) mm, yes those were quite good. Though, I quite like the 2nd batch of Saffron Cardamom ones. Certainly had fun taking those pics including the ones with both of the macarons flavours.